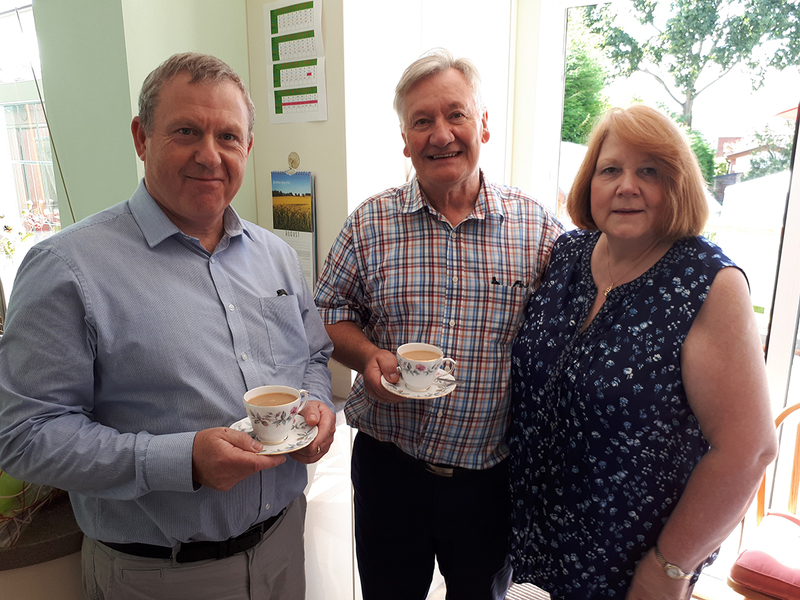 On 17th August, Carers’ Café was invited to go for a cream tea at the house of one of the lovely carers that attend our café. She and her daughter were very pleased at the care she is receiving and wanted to share their appreciation. It was a very relaxed afternoon and after our cream tea we all went into the marquee. 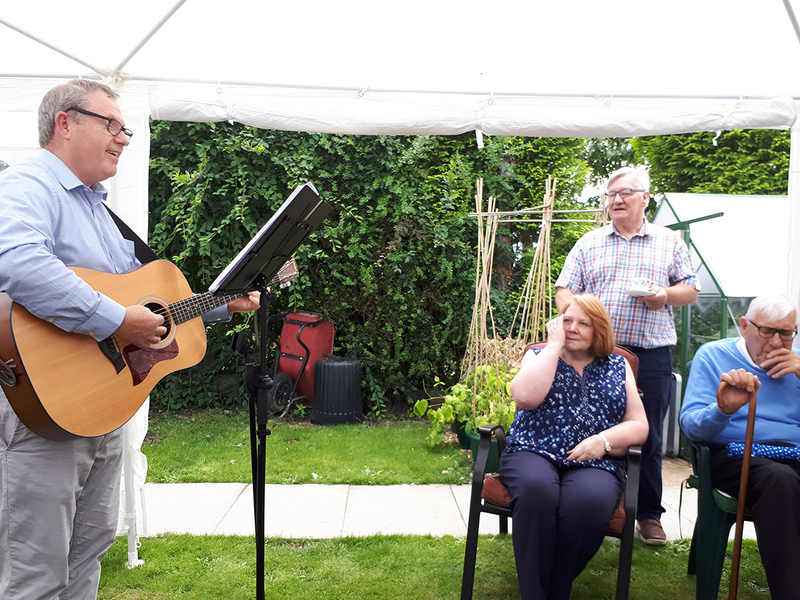 Mike Slemensek from Warwickshire County Council attended to sing and play his guitar. ‘Easy listening’ was the order of the day. Everyone enjoyed the ‘Perfect Afternoon’. 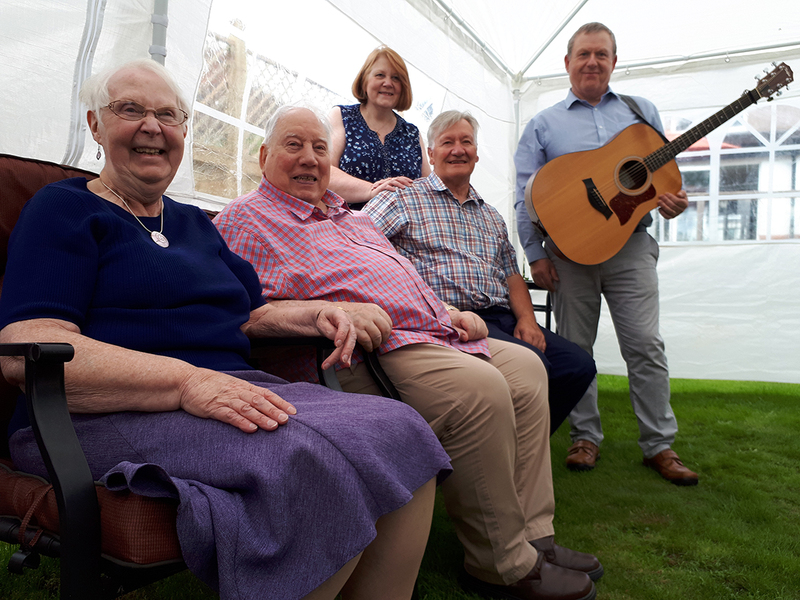 A singalong was enjoyed by all. The cream tea food was amazing – we all had seconds! Dotty organised who was attending and for a bouquet of flowers to be presented to the hosts by way of a thank you. A box of chocolates was also given. 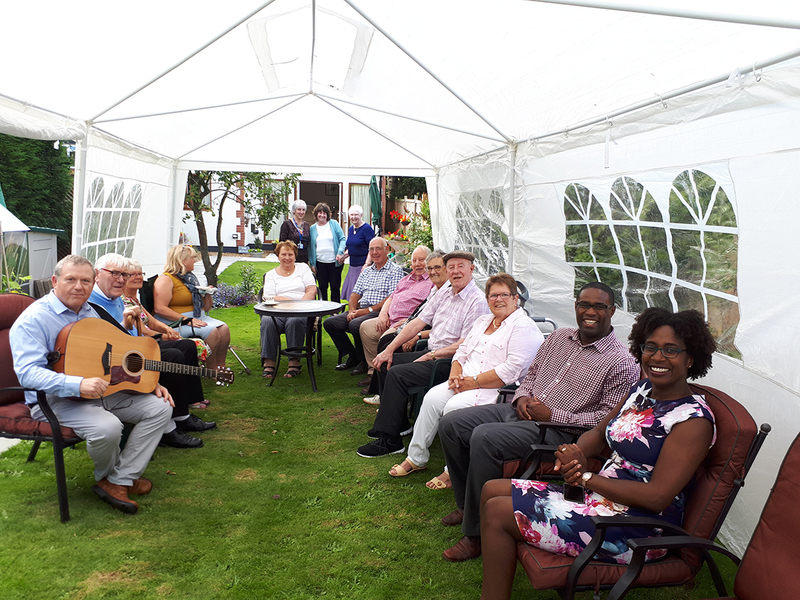 Thirteen people attended this lovely event, friends were made – promises to keep in touch with each other were also made. This afternoon was a combined effort of the café volunteers. Everyone had something to offer! – Dr Simon took the photos and his wife Cheryl presented the bouquet. Are you interested in coming along to one of our café meetings? We would be delighted to see you, please click here for more information.